The beach is a beautiful choice for outdoor weddings. The sun, surf, and sand make any wedding ceremony a casual and relaxing one. 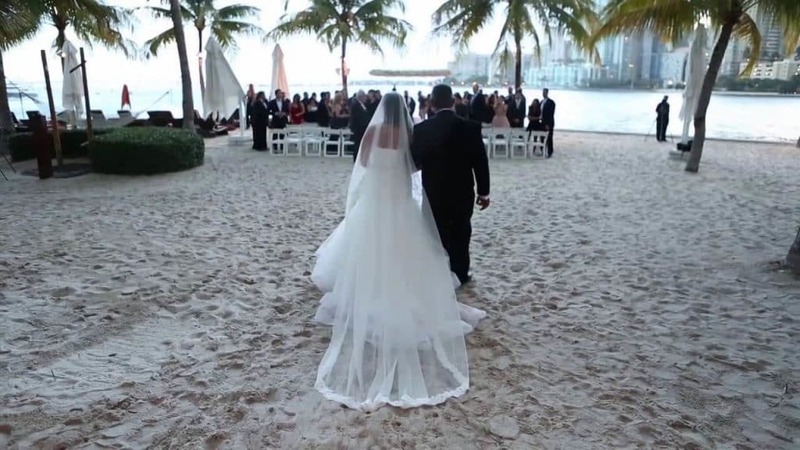 With its long stretches of sandy beaches and energetic mix of Latin culture, Miami Beach weddings are a popular choice for couples wanting a destination wedding. Not only are Miami Beach weddings an inexpensive alternative to a costly traditional wedding, but the cultural and entertainment opportunities offer an exciting place to continue your marriage celebration. If you like water sports, there are opportunities for snorkeling, jet skiing, scuba diving, boating, or para sailing. If you like to shop, you can you can find trendy stores and international designers at the elegant shopping centers located in South Beach and in the famous Lincoln Road Mall. Or you can catch a ballet performance or attend one of the many art museums in the area. After a day of exciting activities, you can spend the evening at relaxing with a glass of wine over dinner with your significant other. You can find many international cuisines at Miami Beach to tease your taste buds. Then, you can grab a drink at Miami Beach’s many nightclubs or head to the beach for a stroll. Most couples find their Miami Beach weddings incomplete without a romantic stroll in the moonlight on the beach. If you want a casual, yet exciting destination wedding, then Miami Beach is the place for you.